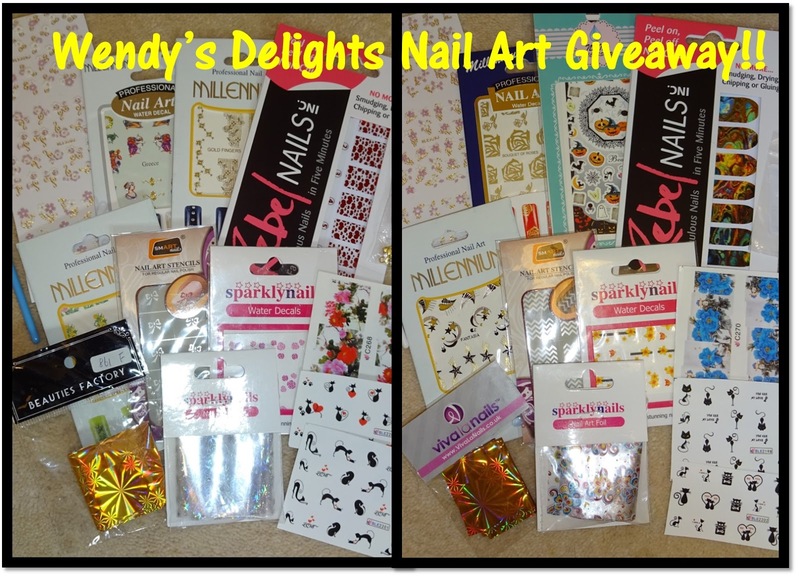 Wendy's Delights: Wendy's Delights Giveaway - 2 x Sets of Nail Art Goodies! Wendy's Delights Giveaway - 2 x Sets of Nail Art Goodies! I'm hosting a giveaway for 2 sets of Nail Art goodies which include, water decals, foils, wraps, stickers, stencils & embellishments. I love creating designs on my nails and if you do too, or want to get more into it then please join my giveaway by filling our the Rafflecopter below. Love doing my nails. It has become a new hobby for me. Thanks for the chance :) Found you in the Nail Gals FB Group.